“Pretending” is a rock song written and composed by Jerry Lynn Williams. 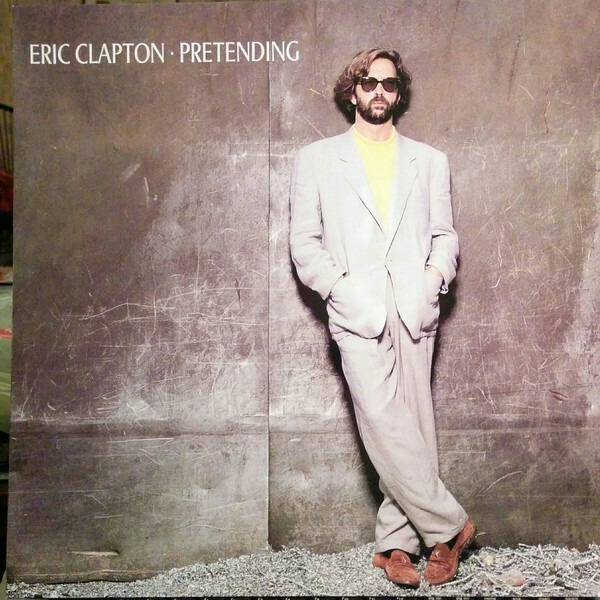 It was released in 1989 on Eric Clapton’s Journeyman as the first track of the album. The song was released as the lead single from the album, backed with “Hard Times,” and reached #55 on the Billboard Hot 100, making it the album’s highest-charting single on that chart. It was also #1 on the Hot Mainstream Rock Tracks chart. In the Netherlands, it reached #3 on the Dutch Tip 40 and #24 on the Dutch Top 40. It became a live favorite. The song begins with a piano introduction. Clapton uses a wah wah pedal on the song. Author Marc Roberty describes the wah-wah solos as being “superlative.” Roberty criticizes Steve Ferrone’s drumming on the song for being too heavy handed. Allmusic critic Matthew Greenwald praises the song’s “great guitar hook” and Clapton’s “great vocal and guitar performances” on the song. However, Greenwald believes that the song’s arrangement is overdone, particularly the “brassy synthesizers,” and feels that the song dated quickly due to its pop music elements. From the CD liner notes on Pretending: “Jimmy Bralower – Drum Programming” Steve Ferrone is not listed as drummer on the song.